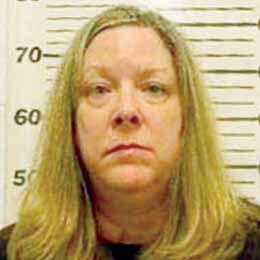 A special hearing was held on Thursday, April 18, at approximately 11 a.m. in which suspended South Padre Island Economic Development Corporation Director Darla Lapeyre was released from jail, serving less than a month of her six months sentence after pleading guilty to negligent homicide. The hearing was held in Judge Elia Cornejo Lopez’ 404 State District Court in Brownsville. According to Garza, Judge Cornejo Lopez allowed those present to speak before making her decision to release Lapeyre. As previously reported, Lapeyre was serving a six-month jail sentence following the Feb. 6, 2011 incident in which the vehicle she was driving struck and killed Michigan native, 63-year-old Jimmie Leonard Anklam, who was riding on Padre Blvd. on his motorcycle with his wife Christine, who suffered non-life threatening injuries in the incident. Lapeyre, who was discovered to have a blood alcohol level of .07 at the time of the incident, was ordered to pay restitution to the family, court costs, a $5,000 fine over 60 months, a $100 donation to Mothers Against Drunk Drivers (MADD) not to mention devoting her time to a MADD victim’s panel upon her release as well as community service. Lapeyre had served 29 days of her six-month jail sentence. A restitution hearing is scheduled for May 2 at 10 a.m. Attempts to reach South Padre Island EDC officials for comment were unsuccessful as of 3 p.m. Friday, April 19. What a load of crap. This drunk kills someone & gets away with it. She even gets to keep her job. Shut up ! You don’t know half of the story! You just know what you read and your calling her names and judging her! What happened was a tragic accident but did not happen because she was a drunk , she had one glass of wine and blew .07 , so ignorant and quick to judge without knowing the real facts! If it was a “Non local” who did that, would they be out? This is an insult to the judicial process. It is not that fact that she was drunk or not. The fact of the matter is, she WAS NOT PAYING ATTENTION ( PERHAPS TEXTING OR TALKING) WHILE DRIVING. The alcohol more than likely played “SOME ” ROLE in the negligence. However, she is responsible for the tragic LOSS OF A HUMAN LIFE. I really do not care what the bleeding hearts of the community feel. If the judge sentences 6 months, then so be it ! Personally if I was the D.A. I would have asked for 6 years, let her plead it down to 2 or 3 years and let her pay the piper. I am a Professional Driver, and I see negligence EVERY DAY ON THE ROAD. People need to have an example(s) made that if you are being irresponsible on the road and KILL SOMEONE, then there is a price to be paid. YOUR FREEDOM! If it was a local child, you all would be up in arms she was being freed. Yet , oh it is just a stupid gringo, he shouldnt have been riding a motorcycle and getting in her way……SO TYPICAL VALLEY ! ! ! MORE IGNORANCE, MORE APATHY……SO SO TIRING…………. If she wanted to be treated as innocent, then she should have pled not guilty and gone to trial. She pled guilty to negligent homicide – a felony. No one forced her to do that. Why plead guilty? Because she was actually guilty of intoxication manslaughter and knows it. However, she was offered a sweet deal to plead guilty to a lesser offense and jumped on it. So she’s guilty of at least that and she should pay for the crime accordingly. Ms. Lapeyre seems to think that she should not be held accountable to for her decisions. Now it looks like the judge may “reconsider” and throw her back and jail. She should not have been released in the first place. One drink, bull. One charge on her credit card from last stop. Upstanding citizen, didn’t even have insurance on SUV. That is your leader of the community!? She got out so she can entertain her friends and fellow South Texas leaders at her home. Get REAL, she deserved every minute of the 6 month jail tern and then some more. Time to go back and look at all the sentencing for the same crime and see how many are still in jail for the same charge. Really, .07 and .08 are that far apart to make someone non-accountable for their actions?